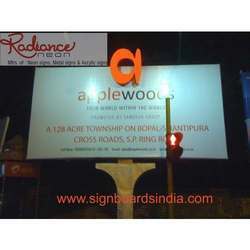 Hoarding Signs are one of the most cost-effective ways of advertising and can be customized as per the client's requirement. Generally Hoarding is made in Solvent/Eco solvent printed flex banner mounted on MS/Iron fabricated structure, to ensure reliability of performance and quality at the same time. 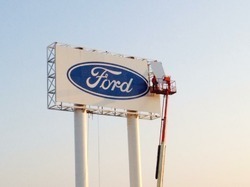 The lighting is given to the banner from back side or front side ensuring enhanced visibility. As the name suggests, we are engaged in offering 3D Display Hoardings Sign which means that we can make any objects, logo, letters in 3D on backlit or frontlit hoardings. The logo & letters can also be backlit in different lighting effects to create enhanced visual appeal. We are mainly looking for enquiry from Melbourne Australia.